This is absolutely delicious! 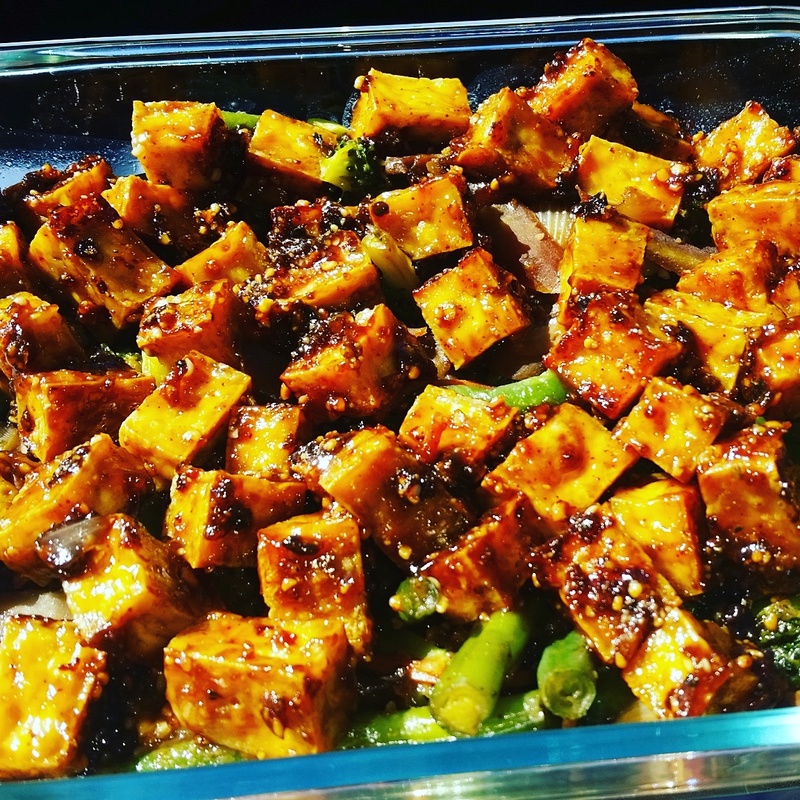 I don't think i will ever make tofu any other way again! Drain the tofu for at least 10 minutes by placing it between two plates with some sort of weight on top, 5 lbs max or of course a tofu press. Blot the tofu with paper towel and cut it into cubes. I cut my cubes about three quarters of an inch all around. Place them on parchment paper on a baking tray and bake on 400 for about a half an hour. If you have an air fryer about 10-15 minutes on 400 will also do the trick. You can stir them halfway through to get a nice even crispy coating. In the meantime whisk all the other ingredients together is large bowl. When the tofu is done dehydrating and slightly cooled, add it to the sauce and mix for an even coating. Marinate this for at least in half an hour. Put a little of sauce in a saucepan on medium heat and stir in the tofu. Continue stirring until you have a nice sticky coating on all the tofu. Mix with your favorite veggies and/or rice and Enjoy!